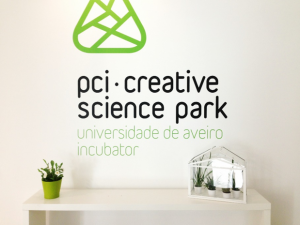 On March 6, the official opening of the Creative Science Park, also called ‘Parque de Ciência e Inovação’ took place. The opening was inaugurated with a visit to the different buildings, following a brief introduction to some of the companies located in the buildings, and a discussion on the importance of Portuguese companies working in health IT services, as well as in other areas. BMD moved to new office space located in the science park. 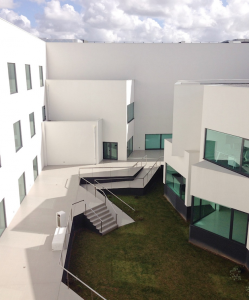 The creative science park is home to numerous firms, of which a majority is part of the incubator programme of the University of Aveiro. The park is located in Ílhavo, a municipality close to the city of Aveiro and the university. 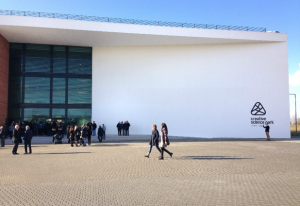 The aim of the new hub is to facilitate cooperation between local governments, businesses, incubators and University of Aveiro. The open structure fuels innovation and promotes cooperation between different companies. This will foster the development of scientific knowledge and technology. The unique innovative character also creates a strong national presence and attracts international companies. In our new office, we will be able to host meetings and receive clients. We are excited to see what new opportunities this change will bring. If you are looking for a customised solution or simply want to learn more about what we can do for you, don’t hesitate to visit us at the creative science park or fill out the contact form below!